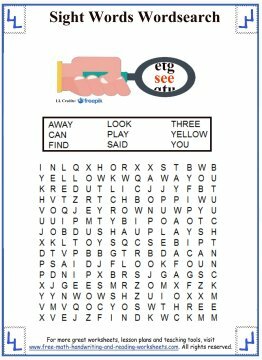 Use these sight words word search worksheets (say that three times fast) as another way to study sight words. 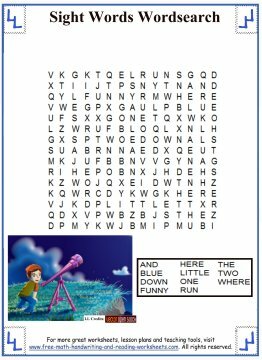 Before printing these out, you may want to check out the free worksheets that cover these and other high-frequency words. You can find all of the previous lessons using the link at the bottom of this page. The worksheets are grouped together by their categories:Pre-Primer, Primer, 1st, 2nd, and 3rd grade words. The first installment of Pre-Primer wordsearches feature most of the words found on the Dolch list. 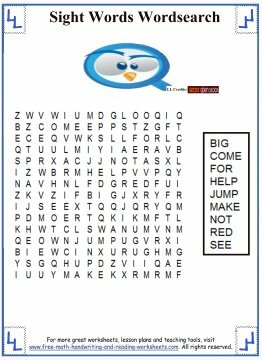 I've left out 1 and 2-letter words like "I" and "in" since they could be found multiple times in many rows, but all the others are there waiting to be found. Since students learning these words are just beginning to recognize letter patterns, all the words in these worksheets are presented forwards and from left to right--nothing on the diagonal or vertical. Since we're just starting to work on sight words in our house, I only have these three pre-primer word searches up. As we move on to new words, I'll be adding more.